A HuskyNurse is someone who shares our belief in possibility and our unshakable optimism: nurses, graduates, faculty, staff, community supporters, friends, mentors. Being a HuskyNurse represents a connection to others, both near and far. It’s a hunger that pushes us to tackle challenges and pursue progress. It’s the conviction that together we can create a world of good. And it’s our determination to Be Boundless. provides the best direct patient care in a variety of settings, from hospitals to clinics to patients’ homes. works to improve the health of the communities in which they work and live by implementing positive and beneﬁcial health systems. drives hard-science research to understand and improve people’s health, and then puts that research into practice through community involvement, advocacy or patient care. The University of Washington School of Nursing community is proud to be responsive and innovative to society’s changing healthcare needs so that everyone may live the fullest lives possible. Add your name to our HuskyNurse Map! Send a photo and your info to nscomm@uw.edu, and we will add you to our global map of HuskyNurses. You can also connect with us on Facebook, Instagram and Twitter. Use the #HuskyNurse hashtag. 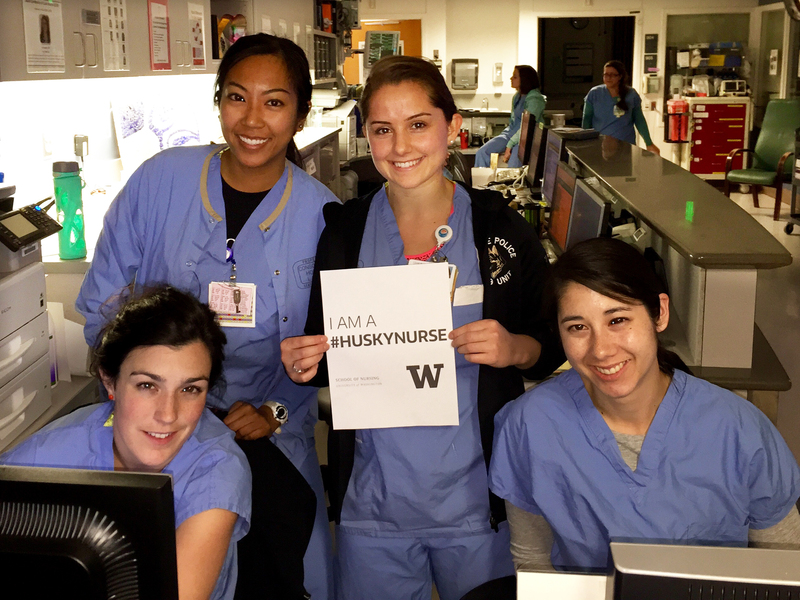 Don’t forget to download our I am a #HuskyNurse sign.